Former Florida Gov. Jeb Bush said Tuesday that President Obama's "incompetent" early response to the Ebola virus created a sense of fear among the American public that "may not be justified." Bush, who's mulling a presidential bid in 2016, said the president should have been more "clear and concise" about the government's handling of the virus during an appearance at Vanderbilt University, according to the Associated Press. "It looked very incompetent to begin with, and that fueled fears that may not be justified," he said. "And now you have states that are legitimately acting on their concerns, creating a lot more confusion than is necessary." After a case of Ebola was diagnosed in New York City last week in a doctor who'd recently returned from West Africa, where the Ebola outbreak originated and continues to rage, several states, including New York and New Jersey, imposed a mandatory quarantine on all travelers to the U.S. from that region. The decision drew some pushback from the administration, which warned that it could hurt efforts to contain the virus by discouraging health care workers from traveling to West Africa and fighting the outbreak at its source. Bush contrasted the president's response to the Ebola outbreak with his own response to the anthrax scare in Florida in 2001, when he was governor of the state. "We gave people a sense of calm, what the plan was," he said. "We talked in plainspoken English. We were totally engaged." 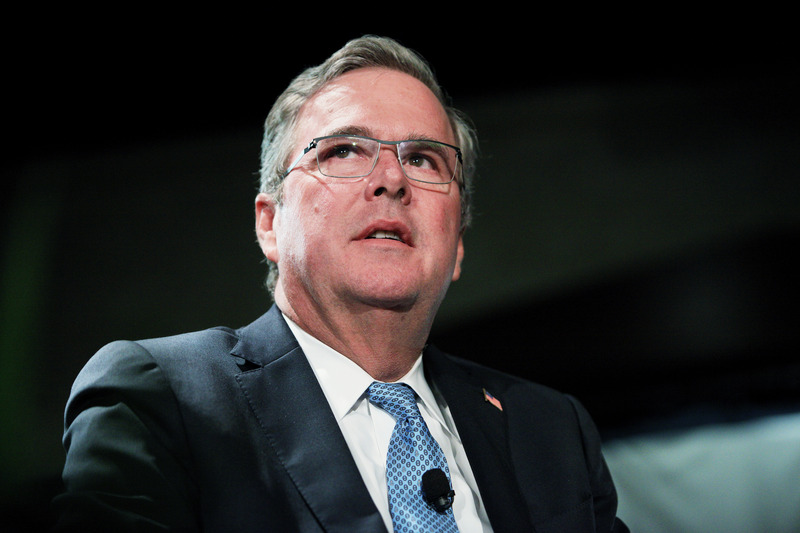 That sort of resume-polishing from Bush has fed into mounting speculation in recent days that he may decide to run for president in 2016 - a prospect that seemed considerably more remote just months ago. He acknowledged the buzz during his speech at Vanderbilt, saying he wasn't too fixated on the looming decision. "I'm totally blessed," he said, "so I'm not like really freaking out about this decision." "If it's a yes, I guess you go in the Batcave," he added. "You try to acquire some superhuman skills, which I will definitely need, because I'm imperfect in every way."